The water sparkles turquoise blue and the horizon calls out to you with it’s silhouette of snow white sand dotted with green coconut palms – the timeless tranquility of Mafia in Africa is a true relic from the Swahili coast of yore. 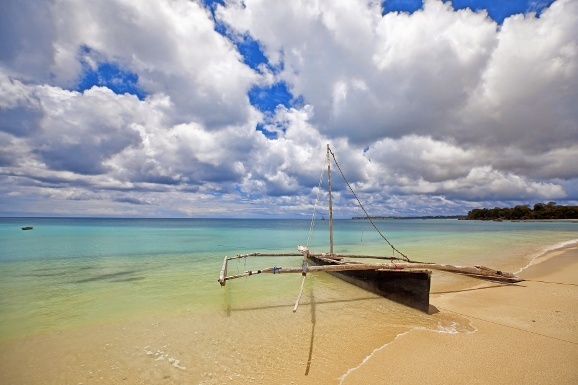 While the locals busy themselves with their daily fishing routines, the occasional Africa travel enthusiast comes to bask in the natural beauty of this exotic island paradise. If you’re traveling to Africa, you don’t want to miss this. In Mafia, it’s not the shimmering sand or the glimmering waters that erstwhile nature enthusiasts hanker for during their Africa safaris. The attraction is waiting deep under the water – the gigantic whale sharks of Mafia Island. Mafia, a true beach-lover’s paradise, is a small island in Tanzania, located on the southernmost corner of the Zanzibar archipelago. 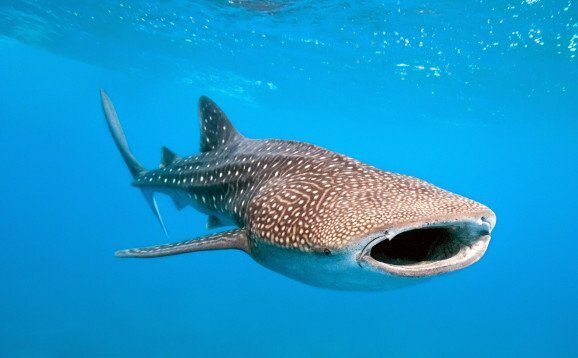 Every year, from the month of October to March, Mafia plays host to a magical spectacle – whale sharks that are about 40 feet in length, come hunting for sustenance in the plankton-rich waters around the island. 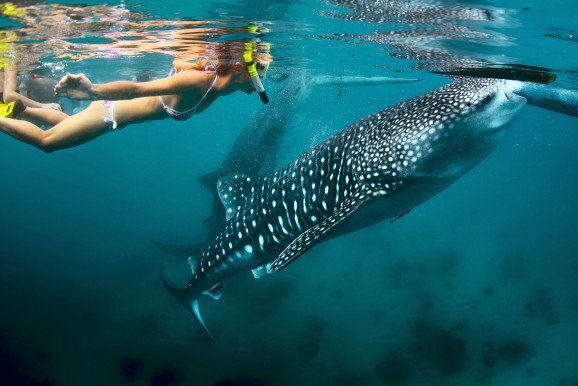 Swimming alongside these ‘ginormous’ creatures is an other-worldly experience altogether! These gentle giants are the largest variety of fish in the world – the longest one to be measured was almost 42 feet in length! Travelers line up in little Dhow boats, eagerly waiting to be the first to sight the giant sharks. And then it’s finally time! From the little Dhow boat, the gigantic ripples in the crystal clear water are easily visible! And before you know it, the first brave snorkelers jump into the water, ready to swim alongside the benign whale sharks, followed by the rest of the adventurers. You must adhere to the rules because you don’t want to disturb the animals. Visitors are advised not to swim too close and not to touch the sharks. As soon as you are in the water, you will be greeted by the sight of a giant body – almost at arms reach! The sharks are huge and they tend to glide majestically over the enchanted divers, totally unconcerned about the existence of others around them! With speed that is difficult for a human to keep up with, the whale shark swims along the surface of the water, almost like magic! The whale sharks swim near the surface for a few hours every day before they disappear – as suddenly as they appear – near the surface. Still, the feeling of having experienced something unique and truly special stays with you long after! Mafia Island is a haven for snorkelers and divers throughout the year. But there’s no reason to despair if you’re a nature and wildlife enthusiast – there’s still plenty to see! Between the months of June and September, something very special happens – the hatching of baby turtles – a must see on Africa tours! The adventure begins at the western side of Juani – a small island across the Chole Bay which is part of the Mafia archipelago. You might make the acquaintance of some curious monkeys on the way to the nests. Don’t worry though; while they are friendly, these monkeys are more likely to watch you from afar. A short hike through the beautiful scenery later, you will arrive at the turtles’ nest. There are several nests full of turtle eggs at this protected nesting station. 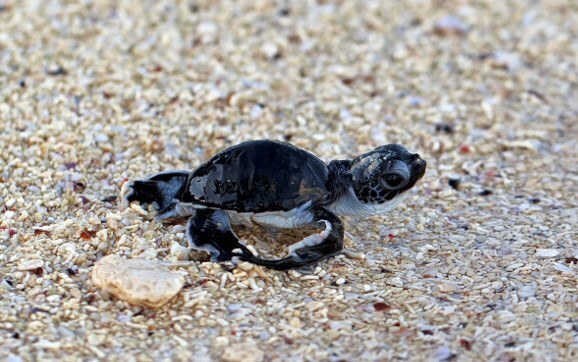 It’s quite the spectacle really – baby turtles hatching out of eggs, flapping their little fins, fighting their way around the white sand as soon as they are able to, barely managing to make it to the water, all ready for the long journey ahead! When they are grown up enough to lay their own eggs, they will return to this place, where it all started. You’ll feel like Robinson Crusoe as you walk through the deserted northern beaches of Mafia – there is nothing but pristine white sand and blue, blue water as far as the eye can see! Getting here is not without its perils but the experience is well worth the adventurous, bumpy ride. The beach here puts all others to shame and frolicking in the sun here while you take a dip in the warm waters of the Indian Ocean is an experience like no other. The whale sharks will have had their fill by now, as will you from the delicious cuisine of Mafia – fresh grilled lobster and fish with rum punch, just what you need for the holiday of a lifetime! It’s time you lived your dream of swimming with the whale sharks on Mafia Island. Click here and we’ll help you plan your dream trip.